The 2019 BMW 7 Series is quite the accommodating luxury sedan. To give you a clear picture of how each of these models can contribute to your commutes around Westchester County and Yonkers, NY, BMW of Westchester has come up with the following review. Take a second to familiarize yourself with a few key attributes. No matter which model you go with, the 2019 7 Series supplies you with an accomplished performance powered by an impressive line of engines. First, there’s the 740i that houses a 3.0-liter BMW TwinPower Turbo inline 6-cylinder engine that’s able to produce up to 320 horsepower. In the 750i, you’ll find a 4.4-liter BMW TwinPower Turbo V8 that can generate a maximum of 445 horsepower. Next up is the 740e. Its 2.0-liter BMW TwinPower Turbo inline 4-cylinder engine pumps out as much as 255 horsepower on its own and combines with a 111 horsepower-producing electric motor to deliver a total power output of 322 horsepower. The m760i contains a 6.6-liter BMW M Performance TwinPower Turbo engine that makes use of a commanding 601 horsepower. Finally, there’s the Alpine B7 with its 4.4-liter BMW ALPINA Bi-Turbo V8 that generates a robust 600 horsepower. One of the unmistakable highlights of the 2019 BMW 7 Series is its distinct convenience. A standout in this regard is the Advanced Vehicle & Key Memory. This standard feature remembers the most recently used climate-control temperature and air-distribution settings, exterior mirror and power seat positions, audio tone preferences, and radio presets. The 7 Series also comes standard with 14-way power front seats that include 4-way lumbar support for optimum comfort. 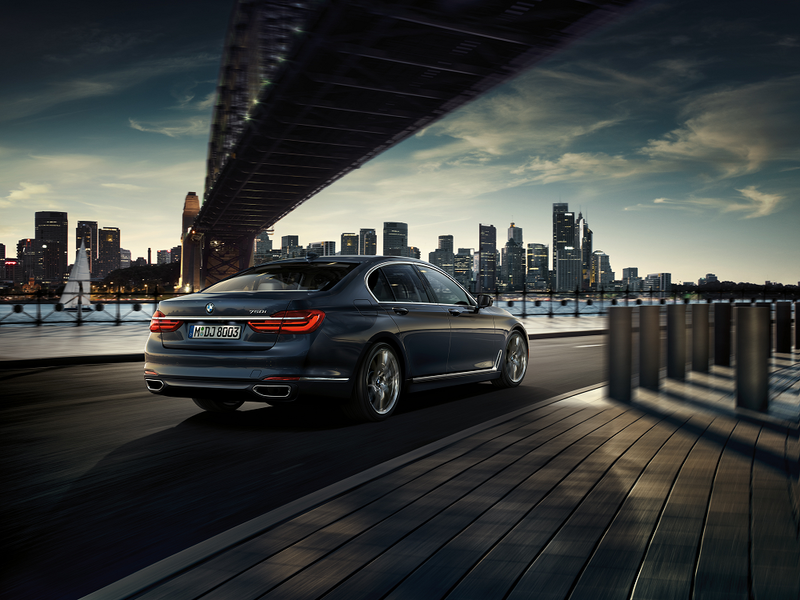 The 7 Series comes standard with features that keep you free of distraction and provide increased visibility. First, there’s the automatic-dimming interior rear-view mirror and driver’s-side exterior mirror that prevent you from being momentarily blinded whenever a vehicle’s headlights suddenly show up from behind. There are also the rain-sensing windshield wipers with adjustable speed and automatic headlight control that allow you to stay focused on the road ahead no matter what the weather is doing. The 2019 BMW 7 Series supplies you with an enhancing driving experience by allowing you to enjoy it with a full-bodied sound system. 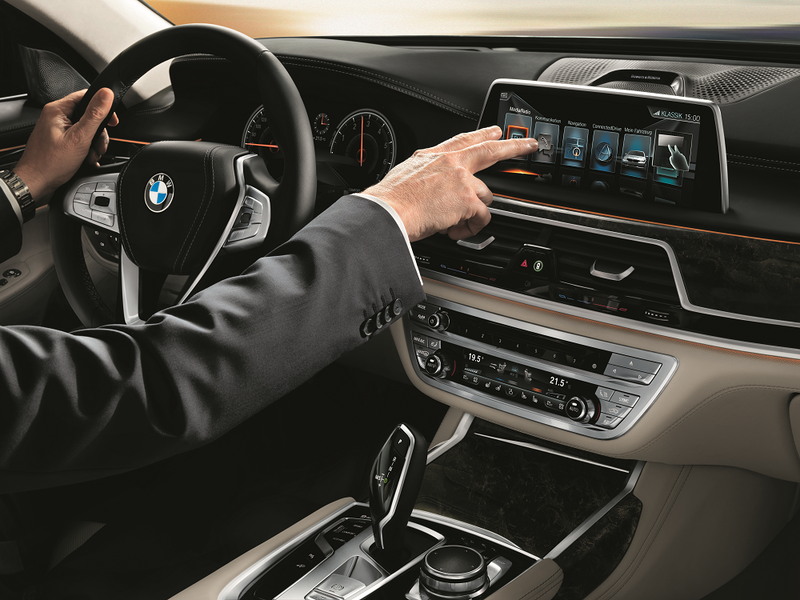 The 7 Series comes standard with the Harman Kardon® Surround Sound Audio System that includes an equalizer and a 600-watt amplifier. Its 16-speaker system consists of seven tweeters, seven midrange speakers, and two bass speakers. Now that we’ve piqued your interest, you’re going to want to check out all these specs and features in person. Contact BMW of Westchester serving Westchester County and Yonkers, NY, today to get started by scheduling your test drive.